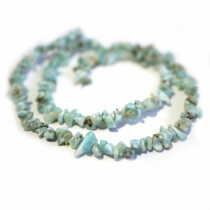 Larimar also Know as "Stefilia's Stone", is a rare blue variety of pectolite found only in the Dominican Republic. 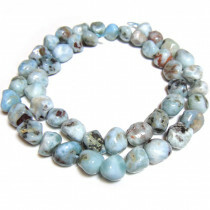 Larimar colouring varies from white, light blue, green-blue to deep blue. 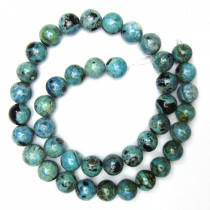 Larimar Round 6mm Gemstone Beads (66pce Strand) - 40cm/16'" Strand. 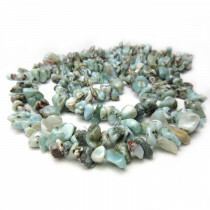 Larimar Round 8mm Gemstone Beads (50pce Strand) - 40cm/16'" Strand. 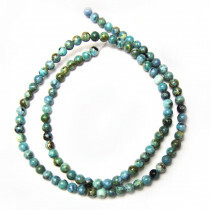 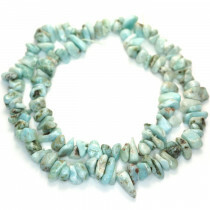 Larimar 4mm Round Beads (~100pce Strand) - 40cm/16'" Strand. 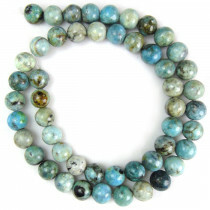 Larimar 10mm Round Beads (~40pce Strand) - 40cm/16'" Strand. 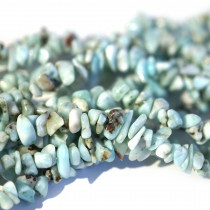 Larimar Chip Beads 7x9mm (~150pce Strand) - 90cm /36'" Strand. 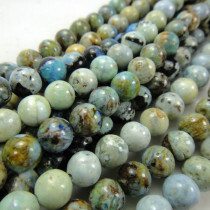 High Grade 6x10mm Larimar Gemstone Chip Beads (~66pce Strand) - 40cm/16'" Strand. 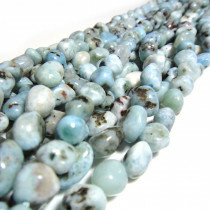 Natural Larimar Gemstone Chip Beads ~3x5mm (~160pce Strand) - 40cm/16'" Strand. 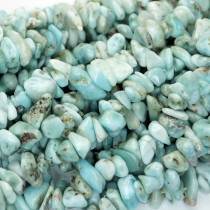 Larimar Large Nugget Beads 10x12mm (~38pce Strand) - 38cm /16'" Strand.